A LEADING British charity is urging UK employers to allow their employees the opportunity to de-stress in a bid to promote workplace well-being. FirstLight Trust, a charity offering practical support for veterans of the Emergency Services and Armed Forces suffering from high levels of stress, is urging employers and employees to recognise the implications of stress within the workplace and the knock-on effect this can have on productivity and life outside of work. 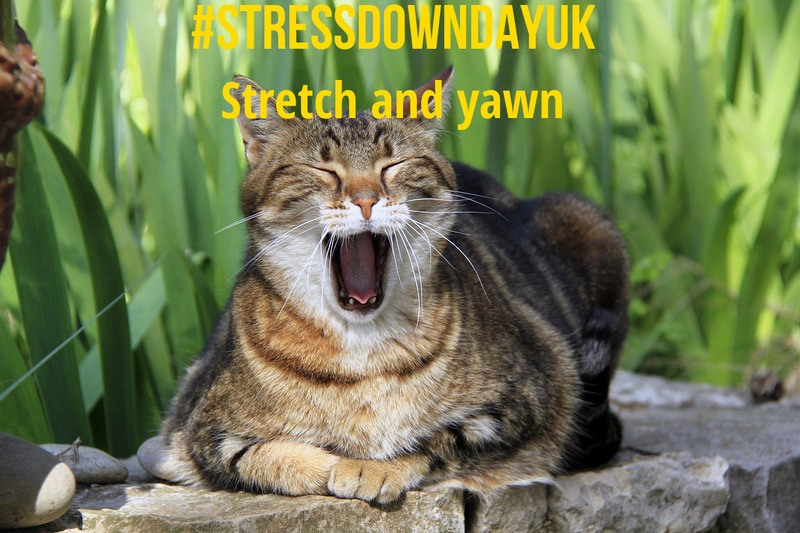 Stress Down Day UK takes place on 26 October, the Friday before the clocks go back. It’s designed to highlight the effects on businesses and colleagues of the increasing problem of stress within the workplace. The initiative aims to educate sufferers of stress with hints and exercises that can be used throughout the day. “The Health and Safety Executive (HSE) says over 11 million days are lost at work a year because of stress at work. They estimate the costs to society of work-related stress are around £4 billion each year,” explains Dorinda Wolfe Murray, founder of FirstLight Trust. People and companies are also being urged to give a donation to the charity, in return for information to help with their stress issues. The money raised will help FirstLight to support those suffering from extreme stress within the Emergency Services and Armed Forces. Why not join in? Take a look at Stress Down Day UK sign-up . Participants are encouraged to post their stretch and yawn poses on 26 October on Twitter @firstlighttrust and Facebook @firstlighttrust and Instagram @firstlight_trust.